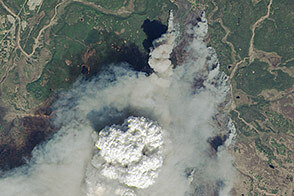 Lightning ignited the Giblin River fire in southwestern Tasmania on January 3, 2013. 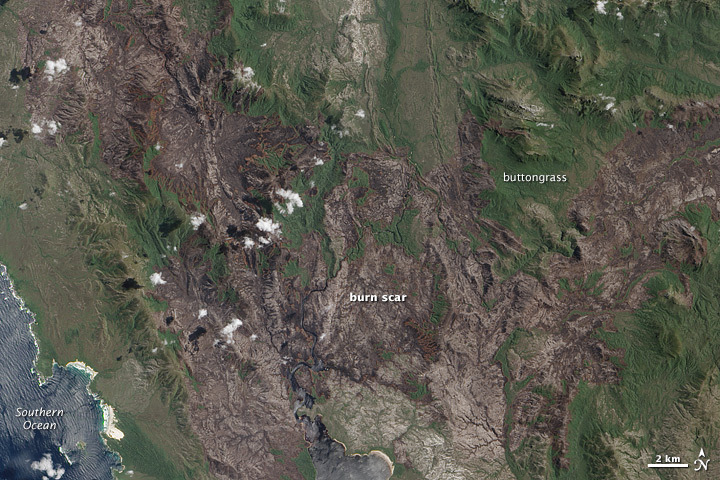 Fueled in part by an extreme heat wave, the wildfire burned through buttongrass moorlands in Southwest National Park throughout the month. 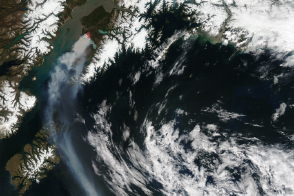 By January 28, it had charred 44,470 hectares (108 acres) of land. 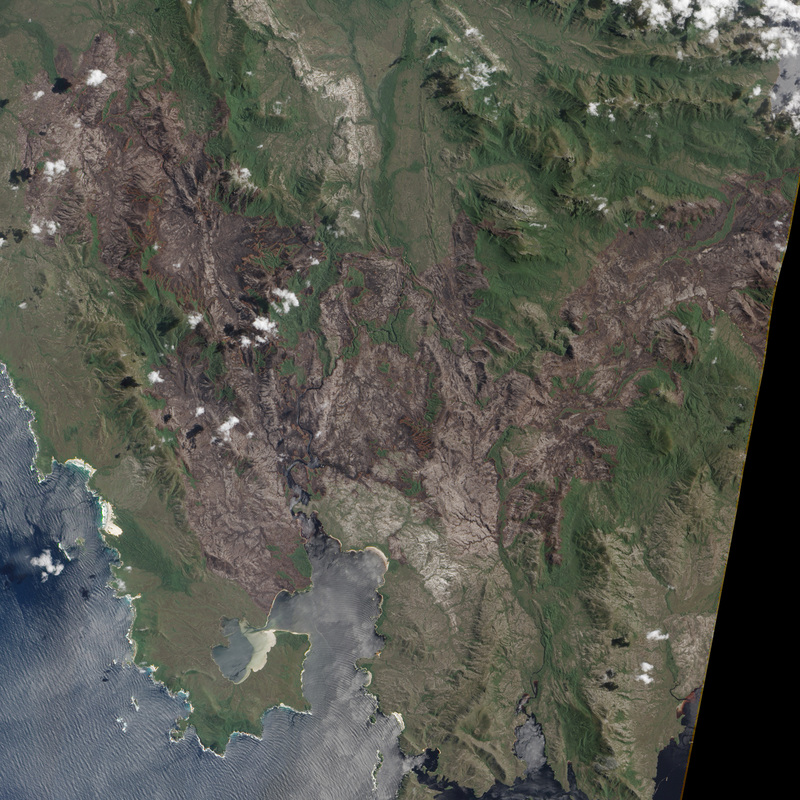 The Advanced Land Imager (ALI) on the Earth Observing-1 (EO-1) satellite acquired these images of the affected area on January 23, 2013. 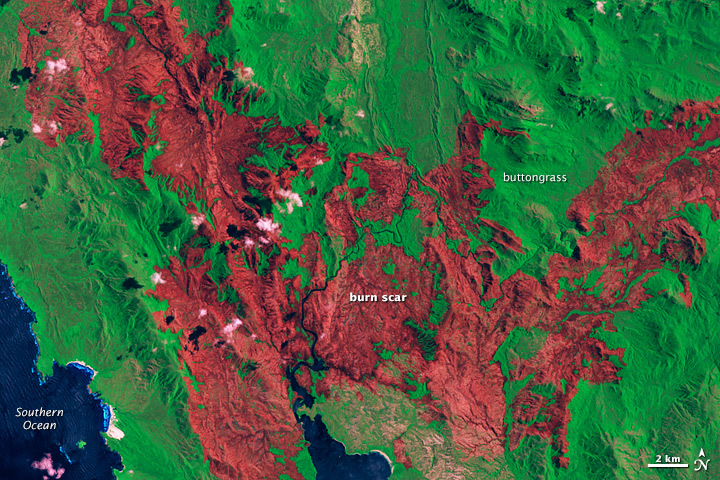 Burned vegetation appears brown in the natural-color image (top); unburned areas are light green. 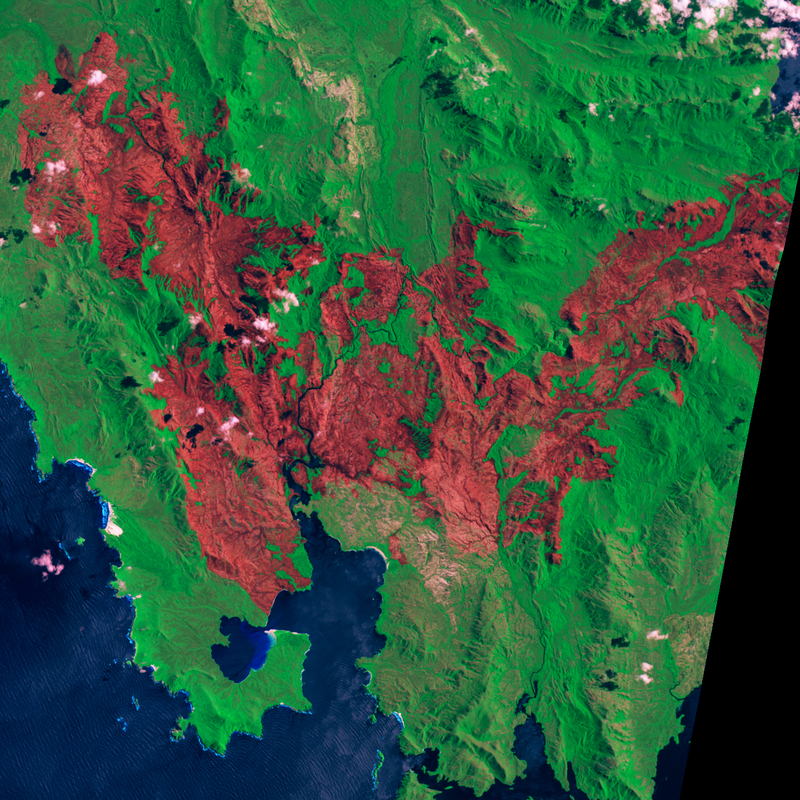 In the false-color image (bottom), burned areas are dark red. While some ecosystems in Tasmania are quite vulnerable to wildfires, buttongrass moorland recovers quickly after burns. Many plants found in buttongrass moorland—such as cord rushes, sedges, and shrubs—are well-adapted to fire; they simply re-sprout from the base after fire damages the plant tops. In addition, seeds of many moorland species have woody coverings that protect them from blazes. In fact, frequent fires help maintain buttongrass moorlands by removing forest species that may be encroaching. 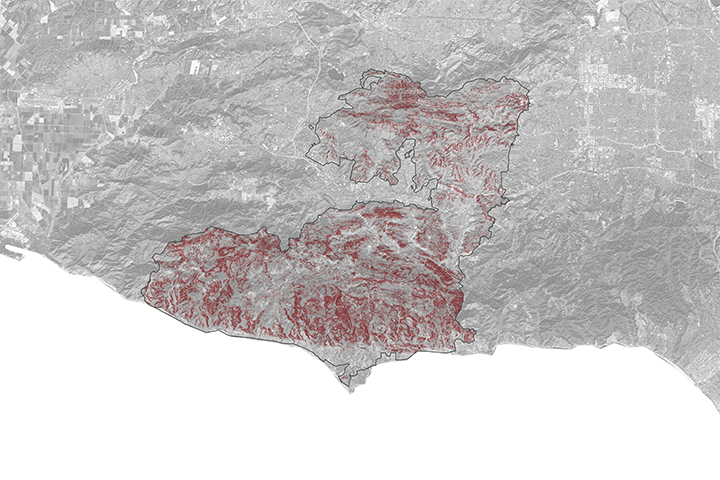 Although the Giblin River fire affected a large area, it burned in an uneven pattern that left some patches of vegetation unscathed. In a statement, a Tasmanian parks and wildlife representative said the pattern was similar to what rangers strive for during controlled burns. 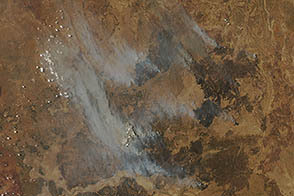 “This fire will, in fact, have a positive effect in terms of future bushfire protection,” he noted. 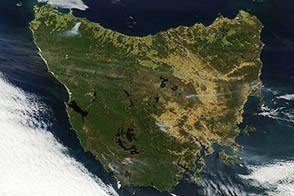 Tasmania’s Southwest National Park was the scene of a large bushfire that burned through a fire-adapted ecosystem during an extreme heatwave in January 2013. 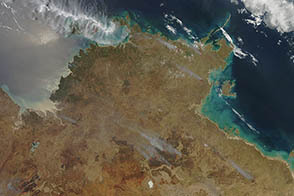 Wildfires burned in Australia during 2012 and 2013. 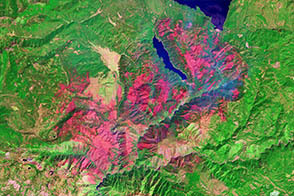 Tasmania Parks & Wildlife Service (2013, Jan. 23) Parks/Tracks Affected by Wildfires. Accessed Jan. 28, 2013. Tasmania Parks & Wildlife Service (2013, Jan. 23) Buttongrass Moorlands. Accessed Jan. 28, 2013. Tasmania Fire Service (2013, Jan. 23. Giblin River Fire. Accessed Jan. 28, 2013. 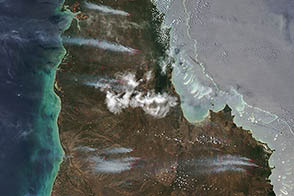 The Australian (2013, Jan. 10) Tasmanian park fire still uncontained. Accessed Jan. 28, 2013.